Our repair process has become fine-tuned over the last 40 years and meets or exceeds industry standards with all of the insurance companies we work with to get your vehicle back to you as quickly as possible without sacrificing your safety. • Estimate the damages (some damage is not discovered until disassembled). 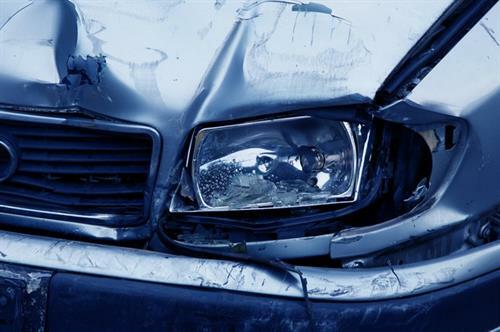 • The insurance company will review the estimate and determine if the vehicle is repairable. • Hidden damage may be found when in disassembly. Re-inspection may be required by your insurance carrier. • Final moldings and detail pieces are placed back on the vehicle. The entire vehicle system is checked. • The vehicle will be cleaned from accumulated dust in the repair process. It will also be road tested. • Delivery is the last step in the repair process. • When you pick up your vehicle, the bill will be explained and final paper work completed. • Parts may need to be ordered before your repair can begin. If so, they will be ordered promptly.